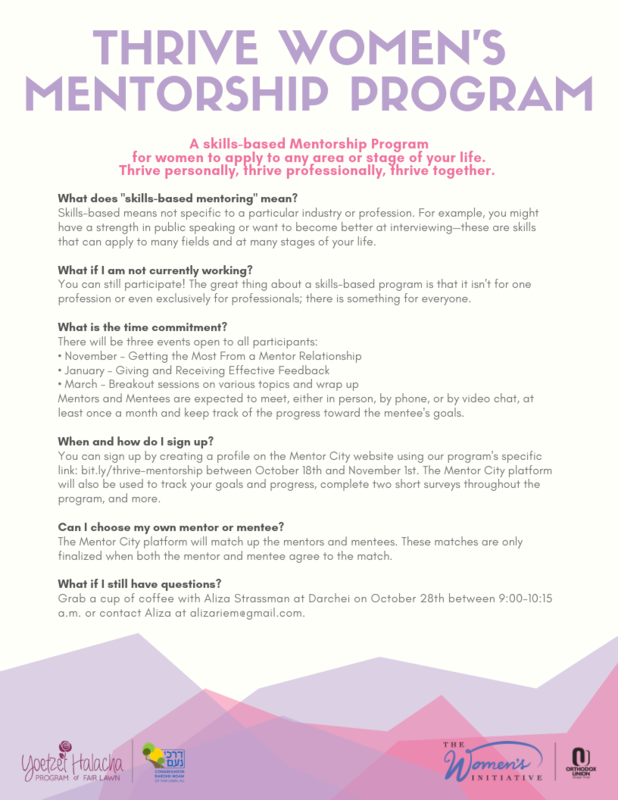 A skills-based Mentorship Program for women to apply to any area or stage of your life. Thrive personally, thrive professionally, thrive together. Need help creating your profile? Grab a cup of coffee with Aliza at Darchei Noam on 10/28 between 9:00–10:15 a.m.
For more information, visit darcheinoam.com/yoetzetevents or contact Aliza Strassman alizariem@gmail.com. 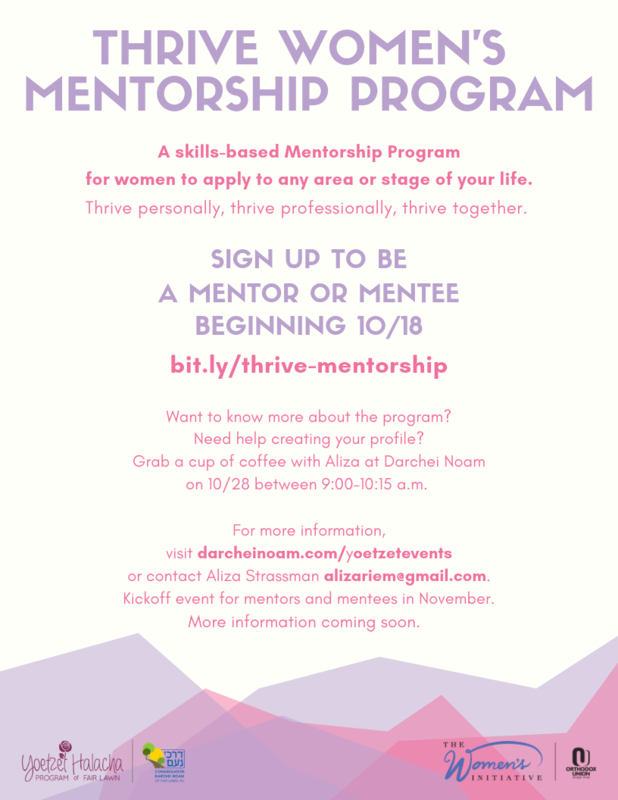 Kickoff event for mentors and mentees in November. More information coming soon. Click on the image below for answers to FAQs.